Native American dark folk act Nechochwen state that they “look to the past, before industrialization, [for inspiration] and always try to picture things before the settlers came to the area. There is a bleakness here that blinds locals to the beauty around them, and eventually that worms its way into your subconscious. […] I am inspired by this not because I want to be, but because it’s a part of who I am.” Also reflecting on how the past inspires his music, Demian of Spanish neofolk group O Paradis said, “All the spiritual practices are OK for me, but I don’t like the wrong use of the ideas. I conceive of heathenism like an ideal more sincere than Christianity, because it’s a return of the origins to recuperate the positive aspects of the religion.” Nechochwen and O Paradis (who released the Nacimiento LP in 2014, and who have also had a tribute CD made to them this past year as well) sum up some of the most important themes seen in neofolk: history, ancient spirituality, nature, traditional culture. Musically, I have argued that neofolk started as a kind of post-postpunk genre in the early to mid-1980s. The original model seemed to me to be the music and imagery of Joy Division brought to an “MTV unplugged” audience, where that sort of dark postpunk presented itself with acoustic instruments not plugged into any power source. Strumming hollow bodied guitars, using traditional instruments like chimes and trumpets, and pounding floor toms – the sort of stuff that could be played even if the power went off in an apocalyptic event. “Joy Division Unplugged” was the model (and still is the model) for a lot of neofolk. If one were to do an all-acoustic cover of Joy Division’s foundational “An Ideal for Living” EP from 1978 – that would pretty much be the gold standard for what neofolk bands traditionally aspired to. 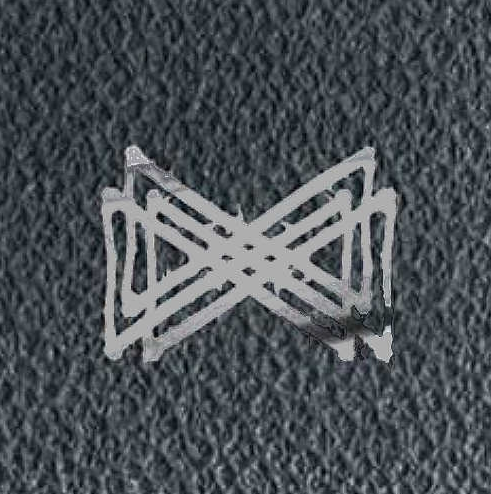 Because members from bands like Throbbing Gristle, Psychic TV, and Current 93 were involved in the genesis of the movement, and supported the exploration of traditional instrumentation (live percussion instead of drum machines, etc. ), the “post-industrial” genre tag also became affixed to the scene. And there were the punk origins via Crisis, too. 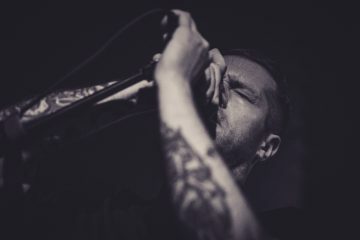 Nowadays the neofolk sound and aesthetic has attracted adherents from the punk scene (Cult of Youth), the postpunk scene (Lakes from Australia), and increasingly from the metal scene (Agalloch) as well. Traditionalists like Sonne Hagal and their excellent 2014 Ockerwasser LP keep the music centered, but new blood has brought innovations to the genre. 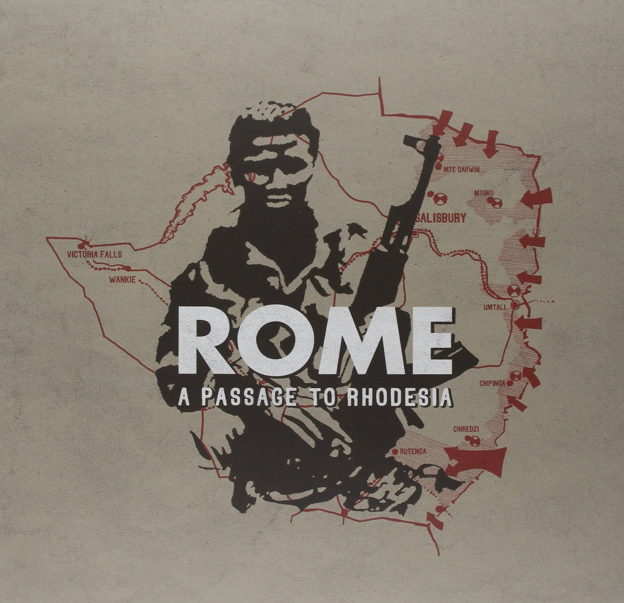 Rome are one of the big guns of the contemporary neofolk scene, and I’ve been a fan of their work for some time now. It would be hard for them to equal the heights they achieved with the back to back Mass Mensch Material (2008) and Flowers from Exile (2009) releases, two of the most important neofolk releases of the last decade. Their past two efforts, to me, seemed like sprawling, unfocused affairs; the 3 volume Die Æsthetik Der Herrschaftsfreiheit had some individual good songs on it (like “To Teach Obedience”) but it felt like Rome’s glory days had passed. And now, this release, which is a thankful return to form for the band. The songwriting brilliance is back and the production is good. The Luxembourg group has chosen an interesting area of world history to focus on: The colonization of Rhodesia by the British and that country’s war for independence in the late 1960s and 70s. 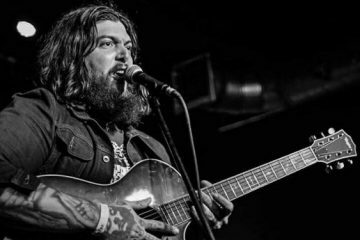 Jerome Reuter’s smooth, baritone voice is in top form , and the two best tracks on the release, “The Ballad of the Red Flame Lily” and “One Fire,” are up there with the best songs that Rome have yet made. 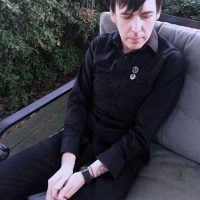 “Neofolk meets postpunk.” Singer and founder Sean Ragon has stated in interviews that he isn’t sure if “Final Days” is a neofolk LP. Whatever the case, the genius of Cult of Youth is in Sean Ragon’s ability to respect the history of the genre and pull from the same sources of inspiration that all the original apocalyptic folk bands of the 1980s musically cited – the dark postpunk and experimentation of early Factory Records bands, the DIY spirit of punk rock, and the folk roots and themes of a lot of older European music that Sol Invictus and others revisited. Cult of Youth have successfully updated the genre and have in the process brought back in a lot of the original, older, more postpunk-based elements that more recent neofolk bands all too often forget. 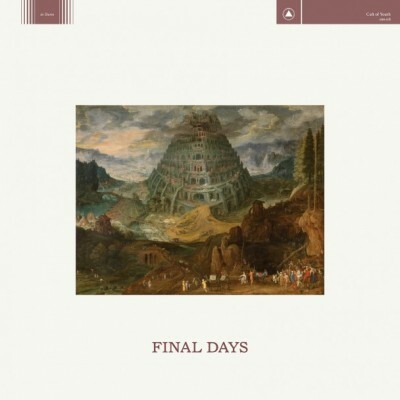 The LP name “Final Days” in fact could be seen as a nod to the “apocalyptic” motifs ever-present in early Current 93 and other dark folk acts. 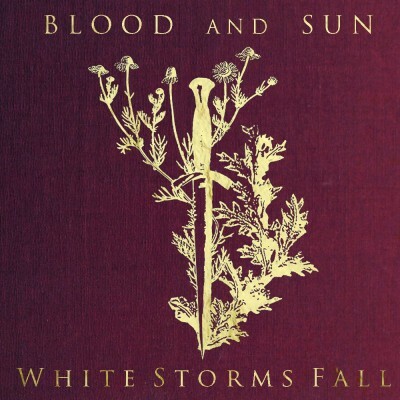 Founder, songwriter, and vocalist Luke Tromiczak’s neofolk band, Blood and Sun, wowed everyone with this, their debut album on Pesanta Urfolk. Although one of the songs on here, “Keen,” was meant for his other project, metal band Malcidere, this LP does not feel like a folk-metal side project; in fact, it’s a very traditional folk-type album. (I call traditional folk music “paleo-folk,” sometimes, and, unlike a lot of recent neofolk releases, “White Storms Fall” seems to wear its paleo-folk influences on its sleeve.) Hammered dulcimer, violin, cello, and relatively spartan percussion round out the sonic palette. My favorite songs are “Lord of the Spring” and the title track, with its interesting key changes. Luke’s sometimes droning, but always expressive, baritone voice is at turns mournful, solemn, cautiously celebratory. The LP is heavy on atmosphere — a rainy, dark, nostalgic journey through the dusk of the soul. 2014 just may have been the year for American neofolk. While US bands like King Dude and Cult of Youth explored more rock-oriented sounds, others, like Blood and Sun and the Muskets (see below) forged ahead with more traditional output. 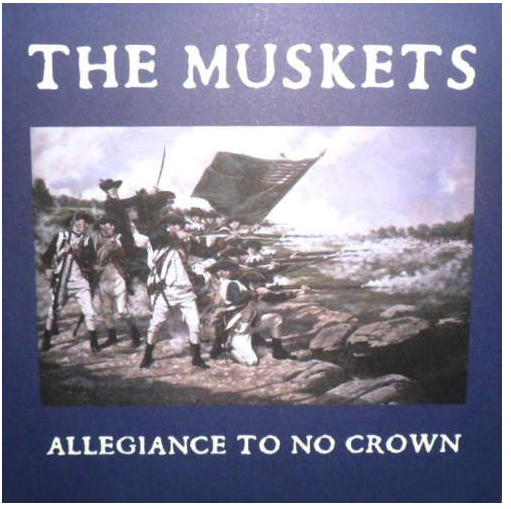 (In the case of the Muskets, very traditional.) 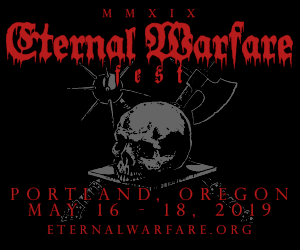 In a much-needed move, European label Morituri Te Salutant decided to collect an anthology of American neofolk bands, producing an excellent document of the current state of the scene on the west side of the Atlantic. This compilation came out just in time for it to be considered for the 2014 “best of,” and unfortunately only 100 were pressed; hopefully a 2nd pressing will occur, as I am pretty sure this will sell out. And, since this compilation is not exhaustive, perhaps a 2nd volume can be hoped for in the future, as well. The compilation starts off with the stern apocalyptic folk of Chicago’s Et Nihil, containing b9 InVid from Luftwaffe. Et Nihil’s showing here, “Right Hand Son,” is stern, grim, and militaristic; their brand of menacing neofolk has often reminded me of Strength Through Joy. It’s a good start to the collection. The second track by Harvest Rain is a more drowsy, atmospheric goth affair, almost like something you would expect to find on Projekt Records — beautifully mysterious with a touch of otherworldliness. David E. Williams’ contribution is a haunting, almost Philp Glass-esque, moving sound and word collage. 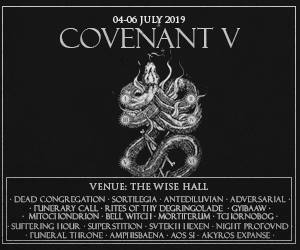 The Great State of Texas has a showing with both Awen from Dallas and Dying and Rising (ex-Gabhar) from Austin in two strong tracks. Breakout neofolk band (if I can say that) Blood and Sun have contributed the bittersweet “At Rest (Greenpoint Version).” And important proto-neofolk group Changes have two tracks to boast of here, one on each side. Thomas Nola and the Black Hole’s piano-based, neoclassical “Schemes (Reprise)” demonstrates just how diverse the scene can be musically. And the grim dark goth folk of Harvest Rain and Night Profound round out the collection. 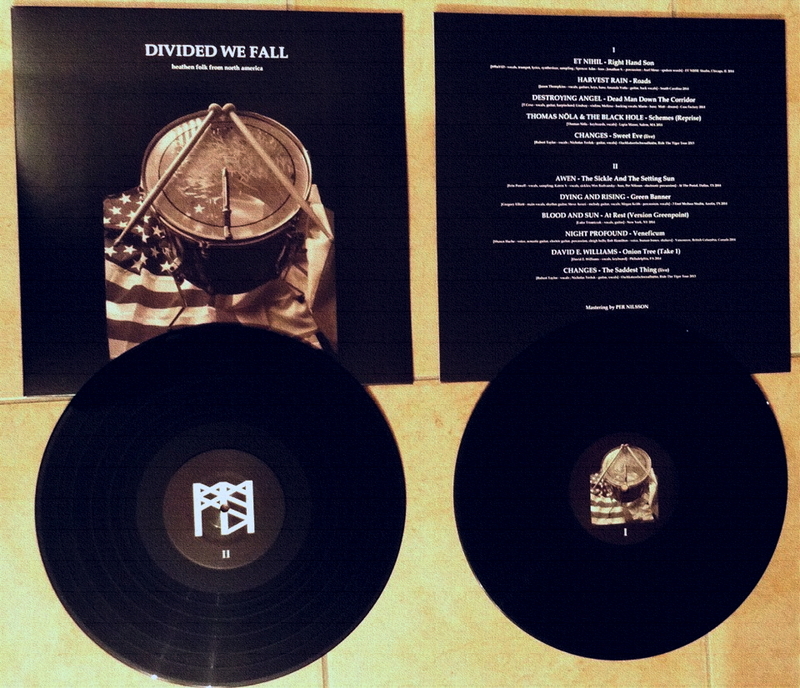 This 12″ LP is an important record of the growing US neofolk scene. Just as Looking for Europe is probably the best anthology/overview for the neofolk genre as a whole, so “Divided We Fall” serves as great overview of things specific to North America. What would it sound like if Death in June covered old American Revolutionary War ballads? If you’ve ever wondered this, well, now you have your answer! Consisting of a power quartet of American neofolk artists — b9 InVid of Et Nihil, Thomas E. Nola, Erin Powell of Awen, and David E. Williams (former collaborator with Rozz Williams, Deathpile, and others, not to mention a substantial solo career in itself) — The Muskets delved into traditional American ballads of the 18th and early 19th centuries and gave them the old neofolk/martial treatment. British musician Andrew King plays early American arch-enemy King George. This is a great, fun, brilliant EP, certainly one of the most unusual and most stand-out releases of the past year from the neofolk scene. Highly recommended. 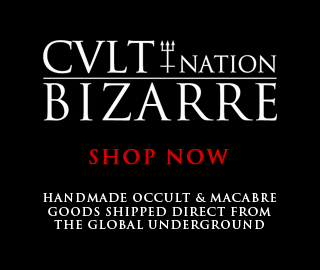 CVLT Nation Reader's Choice Top 10 Releases of 2014!